Caption slip reads: "Photographer: Wyman. Date: 1956-03-02. Reporter: McMahon. Assignment: De La Torre robb. prelim. 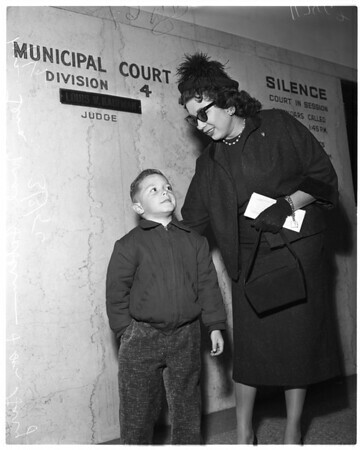 69-67-70: Mrs. Lena Mae Haberman and son Gary, 6 1/2, victims. 45-68: Fernando De La Torre, 29, robbery suspect".